Mario Pellicciaro, Associate Professor of Classics Emeritus, Dies at 89 Pellicciaro taught at W&L from 1966 to 1999. Mario Pellicciaro, associate professor of classics emeritus. Photo by Fran Fevrier. Mario Nicholas Pellicciaro, associate professor of classics emeritus, died on Nov. 8, 2018. He was 89. Born in New York City, he was the son of Italian immigrants: Annunzio Pasquale Pellicciaro and Ovidia Paone Pellicciaro. His mother’s name is the female version of Ovid and an influence on Mario’s later interest in Italian literature and classics. The singer Tony Bennett was a high school friend and is the one that suggested that Mario was too smart not to go to college. Pellicciaro attended the Industrial School of Art and Design and later the City College of New York. Following City College, he was commissioned as a second lieutenant in the U.S. Army and served in Korea. After returning from service he pursued master’s and doctoral studies in classics at the University of North Carolina, Chapel Hill. His speciality was Greek art and linguistics. After graduate work and before coming to Lexington, he taught classics at Georgetown University. Pellicciaro joined the W&L faculty in 1966 and retired in 1999. 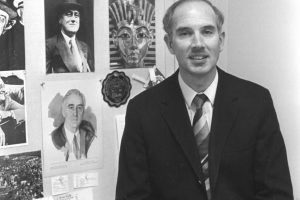 At W&L, Pellicciaro taught ancient Greek, Greek and Latin literature in translation, structural linguistics, Greek art, philosophy and Italian. For many years he organized and conducted the university’s travel study program in Greece. He served as a member of W&L’s Glasgow Endowment Committee and on the editorial board of the university’s literary magazine, Shenandoah. Pellicciaro is remembered for his passion for life that included support for the arts. He and his wife, Barbara, were founding members of the Lime Kiln Arts board of directors. He was responsible for the calligraphy design and spelling of the names of ancient Greek artists for his friend Cy Twombly ’53’s ceiling design in the Salle des Bronzes, Louvre, Paris. His love for classics included continually translating text in one of the eight different languages he could read. He was always improving translations of text: biblical, classical, old English, French. His love for all things Italian included cooking Italian as his mother taught him, and this was almost always for a large group of his friends and students. He was always willing to teach friends and students a cooking secret or skill. Italian by birth, Pellicciaro and his wife spent most of their summers in Italy and for the last 15 years were residents of Spello (PG), Umbria. A community memorial celebration was held there last week, and he will be laid to rest in the Spello cemetery. He is survived by his wife, Barbara Lyons Crawford, professor of art and art history at Southern Virginia University; his children, Andrew Pellicciaro ’79, David Pellicciaro and Julia Pellicciaro Schaff and two grandchildren, Dylan Schaff and Kyra Schaff.